If you or a member of your household finds it difficult to get around your home safely as a result of age or disability, The Home Assistance Hub may be able to help you obtain a grant to fund the adaptations you need to remain living independently in your home. Disabled Facilities Grants help people by funding adaptations to their homes that are identified as required. An Occupational Therapist will assess your needs and determine whether such adaptations are required. A maximum grant of £30,000 is dependent on the work required. Who qualifies for a Disabled Facilities Grant? All applicants undergo a financial means test, unless the grant is for a disabled child. This test will tell you if you will be required to make any financial contribution towards the works identified. If you claim certain benefits you may be eligible for a full grant funding. Since grants are based on an individual’s specific needs, applicants will need to have a needs based assessment undertaken by an Occupational Therapist. The Occupational Therapist will visit your home and assess what aids and adaptations you need to assist you. Any recommendations that the Occupational Therapist makes will be forwarded to us at The Home Assistance Hub. We will then contact you and check that the recommendations that the Occupational Therapist has made are reasonable and practicable. Our officers will then draw up technical specifications, obtain estimates and assist you with the completion and submission of your grant application. 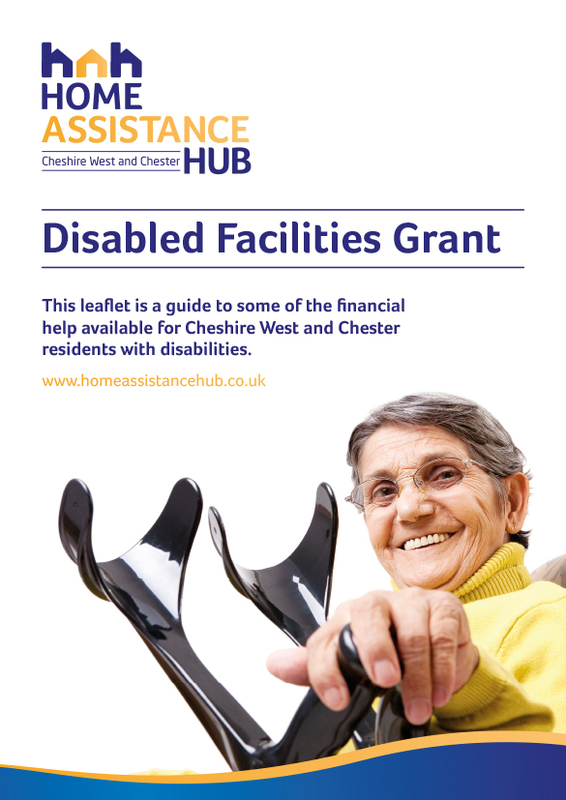 Once your grant is agreed by Cheshire West and Chester Council, The Home Assistance Hub will oversee the work on your behalf.